Gene Bartels, 78, of North Webster passed away on March 22, 2015 at his home. He was born in Garrett, Indiana on March 6, 1937 to the late Chester & Helen (Griswold) Bartels. On November 22, 1958 he married his wife of 56 years Barbara (Crow) Bartels who survives. He was a member of the Calvary United Methodist Church in Syracuse, as well as the American Legion Post #253 having served in the US Army Reserve. He retired after 18 years as the Maintenance Director of Epworth Forest Conference Center. He enjoyed gardening, word puzzles, newspapers, and woodworking. He is survived by his wife – Barbara Bartels of North Webster. 2 sons – Randy Bartels of Indianapolis, and Mike Bartels of Golden, CO. 1 granddaughter – Madison Bartels of Indianapolis. 2 grandsons – Baley Bartels of Indianapolis, and Degan Bartels of Golden, CO. 1 sister – Linda (Denny) Davis of Garrett. 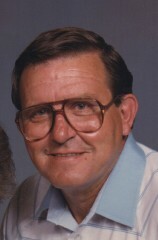 1 brother – Wayne (Pat) Bartels of Garrett. He was preceded by an infant daughter – Deborah Bartels in 1965. There will be a memorial service on Thursday, March 26, 2015 at 11 am at the Eastlund Funeral Home. Calling will be 1 hour prior to the service from 10-11. Memorial contributions may be made to the North Webster Community Center.